Hollywood Jobs - For Location Scouts, It's All About Making The Scene Among the earliest production crew members hired on a film, they help directors turn words into pictures — and help manage the chaos of a movie set. For the second of this year's Hollywood Jobs stories, NPR's Susan Stamberg tags along to see the sites. In the old days, movies — even the big epics — were shot on studio back lots. Tara, that iconic Gone With the Wind plantation, was made of plywood and papier maché. These days, movie locations are mostly real, though. And they're found by location scouts, who are often the first people hired for a film. Should be easy work, right? You drive around town, spot a house you think could work for a film, drive back home? Not quite. Each year, NPR's Susan Stamberg profiles behind-the-scenes pros who help make the movies happen. This is the second of two stories for 2011. 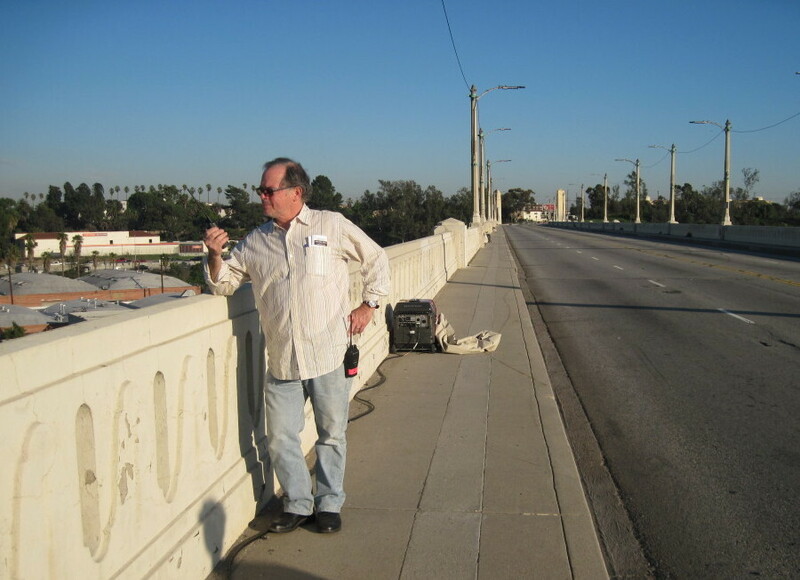 In downtown Los Angeles one recent afternoon, location manager John Panzarella was working on a bridge he'd found, staging a car chase for the Justin Timberlake movie Now. It's one of a long list of locales he had scouted for the film. "In many scripts you get about 40 locations," Panzarella says. "In this picture, there are over 100 locations." And he has to find them all — bridges, tunnels, office buildings, apartments, beaches. Then, once shooting starts, he has to manage every aspect of every location. 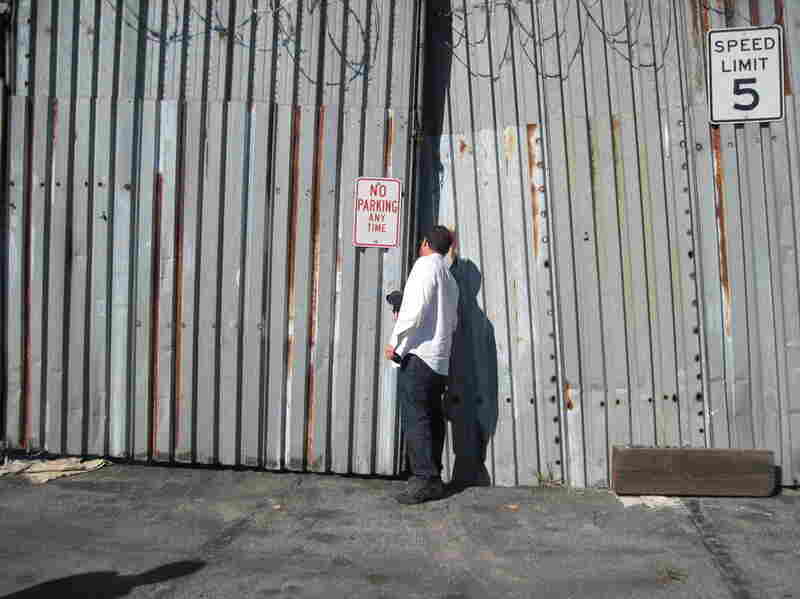 Location scout Doug Dresser needs creepy places for a teen fantasy-adventure film. 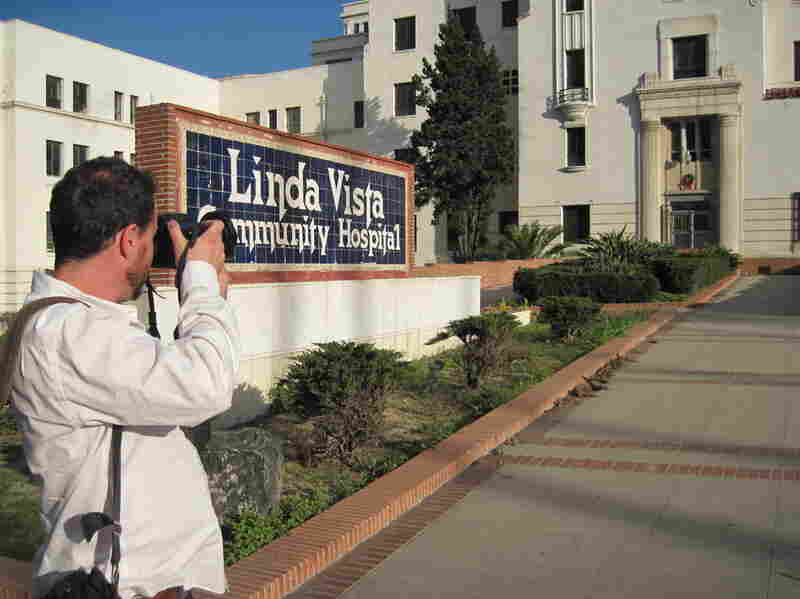 One possibility: the old Linda Vista Community Hospital, built in 1904. Supposedly it's haunted. Dresser takes loads of pictures inside the hospital to show the director and production designer. 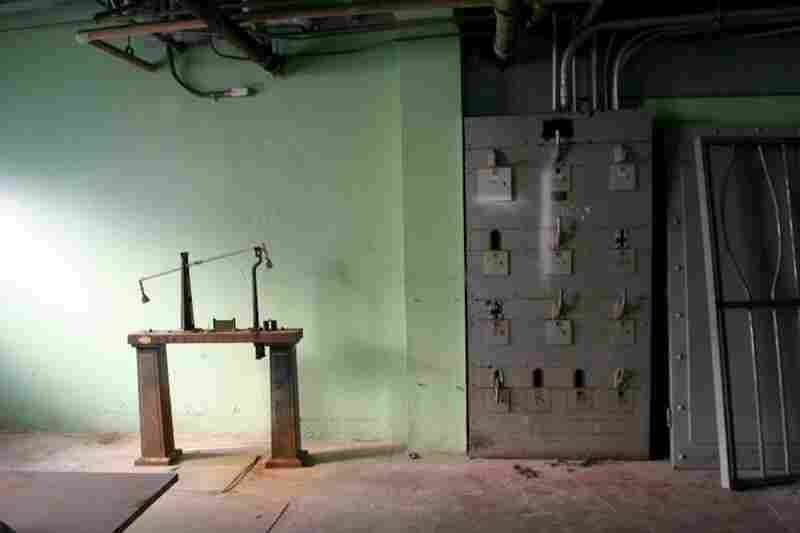 Shuttered in the early '90s, the facility has been used exclusively for filming since. Thousands of films have been shot at Linda Vista, including Pearl Harbor, L.A. Confidential and Conspiracy Theory. Dresser likes the spooky feel of the peeling walls. 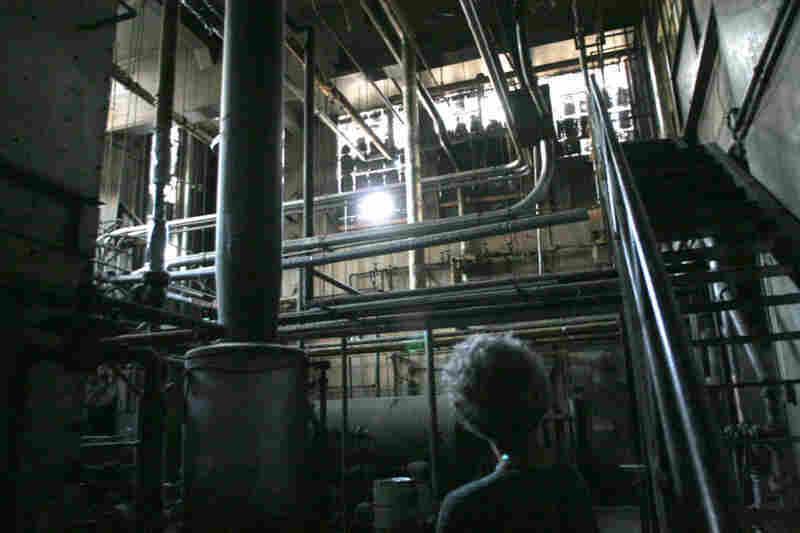 The boiler room of the Linda Vista Hospital – two stories high and "covered in dust and grit and grime," Dresser says – might be perfect for his film. 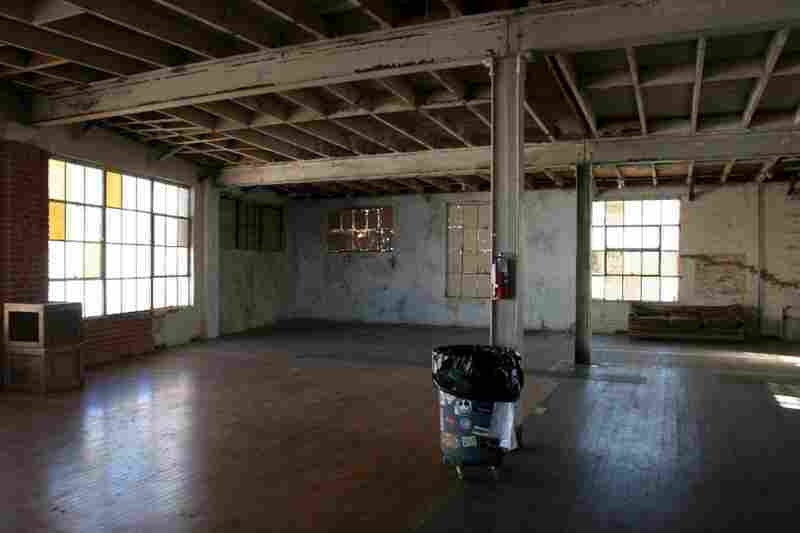 Dresser is also looking for a warehouse, a place where teenagers could be having a party. 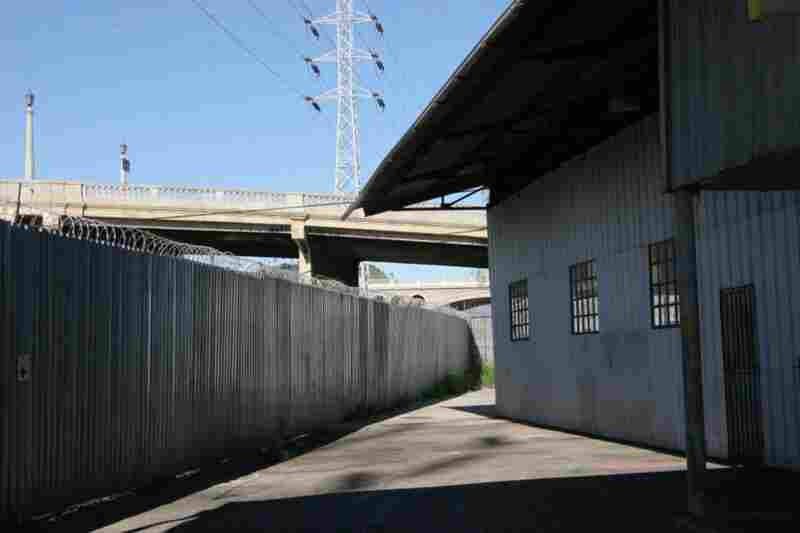 The so-called Poodle Parlor (hey, it's L.A.) sits practically under the Sixth Street Bridge. 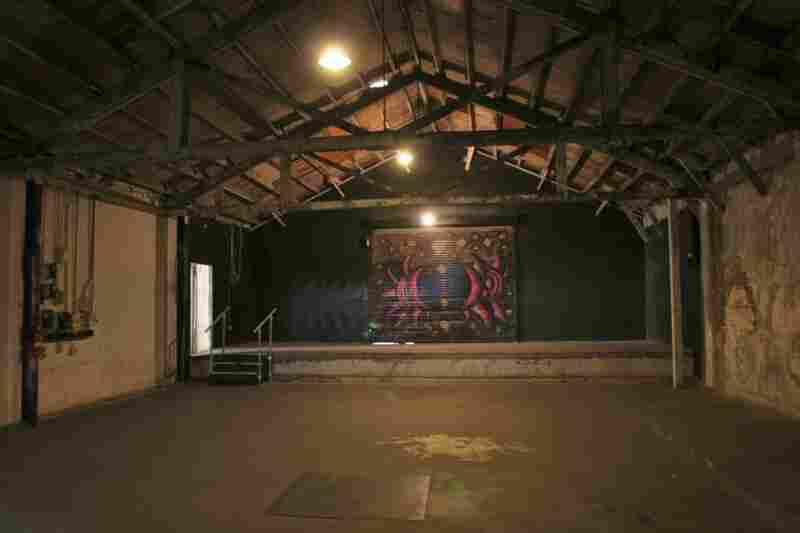 It's also rented out solely for film shoots. Another angle on the Poodle Parlor interior. Great textures, says Dresser, "that filmmakers and photographers just love." He's seriously considering it for his movie. 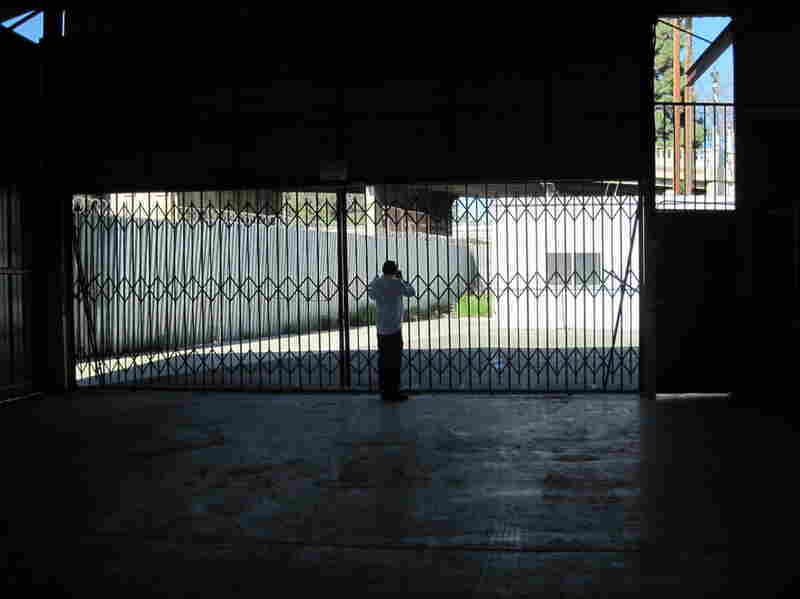 Outside L.A.'s Chinatown, Dresser scouts a recently closed dairy. Inside the dairy's grounds. Dresser needs photos of many different perspectives – skylines, for instance. His project is set in New York City, so he has to be conscious of what can double for New York – or be digitally "corrected." 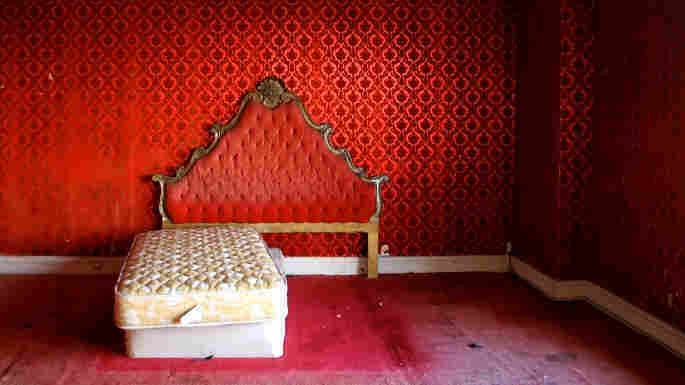 "What we're looking for is the things you might pass up walking by every day," says Dresser, who scouted six sites on this day – including an abandoned library and an outdoor location under the Sixth Street Bridge. His job includes "setting up parking, making arrangements with all the neighbors, making the deals with the places we're going to be filming, and then sort of babysitting the whole crew and make sure everybody plays nice together," he explains. A period film presents particular challenges. On 1997's L.A. Confidential — set in the 1950s — Panzarella was responsible for what's called "anachronism removal." Take the stripes on the road: Today's are yellow. In '50s L.A., Panzarella says, "there were no double yellow stripes. "So everywhere we went, we had to get permission to change the yellows to double whites." They took down satellite dishes everywhere they went, took garbage cans off the streets, crime bars off the windows. "Everywhere we went, we had to make it perfect period '50s," Panzarella says. Panzarella also scouted and managed The Italian Job, starring Mark Wahlberg and Donald Sutherland. "It was about as ambitious a location film for action as has ever been shot in L.A.," he says. "We closed Hollywood Boulevard for six days. We had traffic jams with hundreds of cars lining the streets. We had helicopters flying 500 feet over our heads." For the upcoming Justin Timberlake film Now, it was location manager John Panzarella who made the arrangements to close the Sixth Street Bridge in Los Angeles. (The Fourth Street bridge, too, for another scene). Don't be too hard on him, though: It's just part of the job. Chaos like that means one more thing for location managers to manage: the enmity of non-movie-makers. For the Timberlake film, two bridges were shut down for a recent day of shooting. Imagine how unhappy that made L.A. drivers. Near Hollywood, some other streets have been closed in recent weeks for a film called We Bought a Zoo. Director Cameron Crowe was filming in the neighborhood of Los Feliz. "Yesterday I came in angry," says local resident Kerry Sutkin. But it didn't last. "Matt Damon kept walking by." Four-legged neighbors? Gotta think of them, too. Miles from Los Feliz, on a 450-acre ranch in Thousand Oaks, location manager Chris Baugh is overseeing the creation of that same film's zoo — made from scratch just for the movie. There are horses pastured nearby, and while everything seems bucolic and calm at the moment, that could change: Tigers will eventually populate the zoo set. "Wait till we bring in the big cats," Baugh says. Plus, there will be a lot of other creatures on the film — flamingos, llamas, monkeys and the bear. For a six-week shoot, Baugh will also have to provide facilities for the care, feeding and safety of a tamer group (one hopes): the cast and crew. It must be tempting to throw up your hands, say it's too difficult, opt to build the zoo on a sound stage instead. But that's not an option for a location scout. "We're not allowed to say no; we have to make it work. So we find a way," Baugh says. Location scout Lori Balton steered filmmakers to the ranch for Zoo's makeshift zoo. She first discovered it for the film Seabiscuit. "We leave no stone unturned," Balton says. "And you have to show [a director] lots of possibilities, but in my heart I felt this was the right one." Balton says a big part of scouting is getting inside a director's head to find sites that match his or her mental images. She says working with director Michael Bay on Pearl Harbor was a challenge. "He said, 'I want something white. It's gotta be white, it's gotta be white, it's gotta be white.' Oh, week after week, into months, we're looking for white, white, white. And finally I see something black, and I go, 'You know what? This kind of works. I'm going to show it to him.' And he looks at it. And he looks at me. And he goes, 'This is exactly what I asked you to find — why did it take so long?' "
Scouting can mean days and weeks on the road, so your car becomes a home away from home. Location manager Doug Dresser keeps his trunk loaded up: a toolkit, safety goggles and a dust mask — you never know when a wind storm is going to come up — an extra pair of socks, bright orange safety cones, tent stakes and poles, duct tape, an umbrella, a poncho. But the most important item in his trunk is a camera. "When you're scouting, when you have to get the shot — dust mask, goggles, I'm in! I'll do anything for the shot," Dresser says. Today he's checking out six L.A. sites, and as always he'll take tons of photos to show the director and production designer. One location has a big open space: "You can build sets in here," Dresser notes. "We could pull our movie trucks right up here"
Done with the dairy, Dresser moves on. "We read the script, we break it down and it's a blank canvas," he says. "You're always on a hunt for that perfect location." 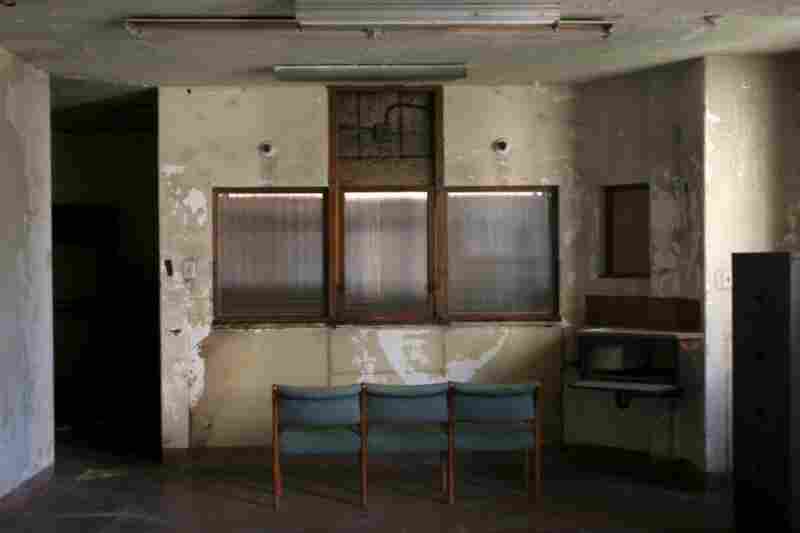 He takes me to the basement, into the hospital's former morgue. It's cold and dark, with paint peeling off the walls — a pretty dreadful place. "It's a glamorous profession," Dresser says. Half-true enough. On any given day, Dresser could spend time in multimillion-dollar mansions and then in the dirtiest, most flea-ridden alley you've ever seen in your life. "To do our job, to be a location scout, you have to love both equally," he says. That same day, Dresser scouted an abandoned, boarded-up library filled with cobwebs; the old Alexandria Hotel, built in the early 1900s and once home to big Oscar-night dinner parties; and an outdoor expanse underneath the Sixth Street Bridge. That last one is among the most-filmed locations in Los Angeles. "It looks like any industrial downtown," Dresser says. "It's graphic; you got parking and trucks underneath it. It's kind of beautiful architecturally, and it fills in for Any City, USA." After a location has been scouted and approved, the location manager has to deal with other filming preparations: permits, extra police, tents for hair and makeup, food — everything. "The recurring dream any location manager has," Dresser says — and by "dream" he clearly means "nightmare" — "is that you show up and the gates are locked and no one's there." Movie folk — including actor Matt Damon and director Cameron Crowe, who were filming inside — swarmed a corner restaurant in the L.A. neighborhood of Los Feliz in late January. They were working on the movie We Bought a Zoo, based on a true story by Benjamin Mee. 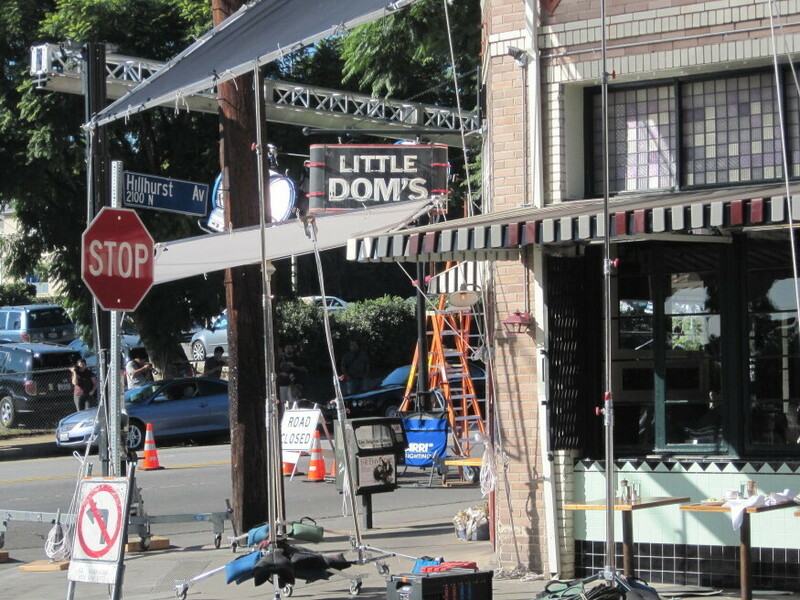 At a small corner restaurant back in Los Feliz, shooting has begun for the Matt Damon movie We Bought a Zoo. Location manager Chris Baugh, who was working before on the zoo construction at the ranch, comes to Los Feliz to solve a few problems on the neighborhood set. One question comes from the best boy grip, who wants to know where on the location he can park his car. It's little things like that that fill up a location manager's day. Baugh says it's like throwing a full-blown wedding for 200 people — in a different place every day for 50 days. Except that at these weddings, commandos drop onto the roof some days, or a machine gun fight begins. And then there's a tidal wave. When problems crop up, Baugh says, the cry goes up: " 'Get me location, get me locations, where the hell is locations?' And you have to solve everything." Director Cameron Crowe says it's all worth it, if it helps an actor like Damon. "What was great was being able to bring him to these places and say, 'This is what we found.' And he immediately said, 'I feel the movie here. I can play this character,' " Crowe says. For Crowe, the long, hard work of location scouting — and set designing, lighting, cinematography, performing, directing, all of it — is most successful when it disappears. "The movie should make it all feel invisible," he says. "The movie should make it feel like you're just viewing somebody living a life. To be living a life on screen, they have to feel like that's their house, this is where they were born. [They have to be] comfortable enough to make you believe it." And so location, location, location: It's the first step in getting us to suspend disbelief for a few hours, and enter other lives.